Phil Taylor: Today is LEZ day - is it worth it? Phil Taylor, a Councillor in Ealing, examines the value of Livingstone's Low Emission Zone. At 00:00 hours today the Mayor's Low Emission Zone came into force. Large commercial vehicle operators must now ensure that they have modern vehicles or upgrade them so that they meet emissions standards (Euro III) or pay £200 a day to bring them inside the GLA area. If anyone brings a non-compliant vehicle into the LEZ without paying the fee they are liable for a £1,000 fine. Over time the scheme will apply to smaller vehicles such as large vans and minibuses and the emissions standards will be uprated to Euro IV. The only good news for the operators of large freight vehicles is that they will have 28 days grace from today and they will be issued with dummy notices rather than real fines. This scheme is a very inefficient way of providing the health benefits it claims for itself and is pretty much unwanted by Londoners who are largely uninterested in it. One reason they are so apathetic is that it is perceived to be, quite wrongly, a tax on other people - just like the Congestion Charge. The Congestion Charge never had much serious opposition because most Londoners live outside the central zone and if they commute in they do so on public transport. Those commuting by car into central London are a minority and no-one much minds if they pay £8 a day for the privilege. Many Londoners probably think much the same way about the LEZ. They are wrong. They will pay for this scheme in higher prices and unemployment. The health benefits they receive will be small and transitory. The older vehicles which were producing particulate and NOx pollutants yesterday on London's roads would have been phased out in any case in the coming months or a matter of a few years at the most. The LEZ has been sold to the public with a lovely green advertising campaign that uses Teletubbies style graphics. The Mayor spent £1.9 million running a consultation on this scheme about this time last year. Most of this money was spent on the Teletubbies ad campaign. The Mayor knows that green sells and although this scheme provides almost no environmental benefits, it is essentially an expensive public health scheme, he knows that it will be popular if it is sold right. He wasn't really interested in the answers to the questions asked in the consultation. The consultation was really only a vehicle to justify the ad campaign. Today is the fourth anniversary of the start of the London Mayor's Congestion Charging scheme. It seems like a good opportunity to review the performance of this scheme, especially from a financial point of view, after four full years of actual operation. Yesterday also saw Peter Roberts’ petition against a national road pricing scheme on the No 10 e-petitions site go past the 1.5 million mark so it might also be timely to ask what lessons for national road pricing you could draw from the London scheme. "The principal objective of congestion charging is to reduce traffic congestion in and around the charging zone, mainly by reducing the amount of traffic moving to, from and through the charging zone." So what is the impact of the scheme on congestion? The two graphs below are reproduced from this document. 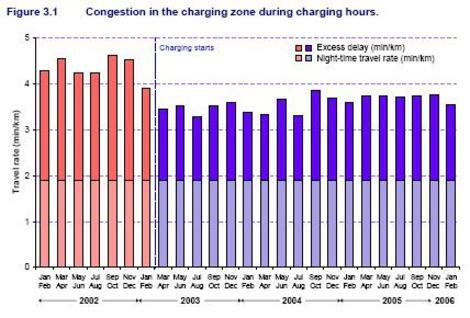 Figure 3.1 shows that congestion, measured in terms of excess delay, fell 30% over pre-charging levels in 2003 but had crept back up to a 22% fall by 2005. This week the Mayor has admitted that the fall in traffic entering the zone is only 20%. This 30% fall in congestion within the zone only, which has since been significantly eroded by TfL's mania for slowing Londoners down with traffic lights and road narrowing schemes, is the only benefit of the scheme the Mayor can realistically claim. He has recently been trying to link the scheme with carbon mitigation in the light of the manifest financial failure of the scheme but this argument is unsustainable. Jean-Paul is a Conservative Councillor and Deputy Cabinet Member for Planning in the City of Westminster. Imagine my excitement when I received an envelope in my Councillors’ mailbag from Ken. Whenever Ken sends me publications I always try to calculate how much the coffee-table brochures or glossy magazines cost the long-suffering London taxpayers. Often the publicity for Ken is done by Transport for London, as it was this time.